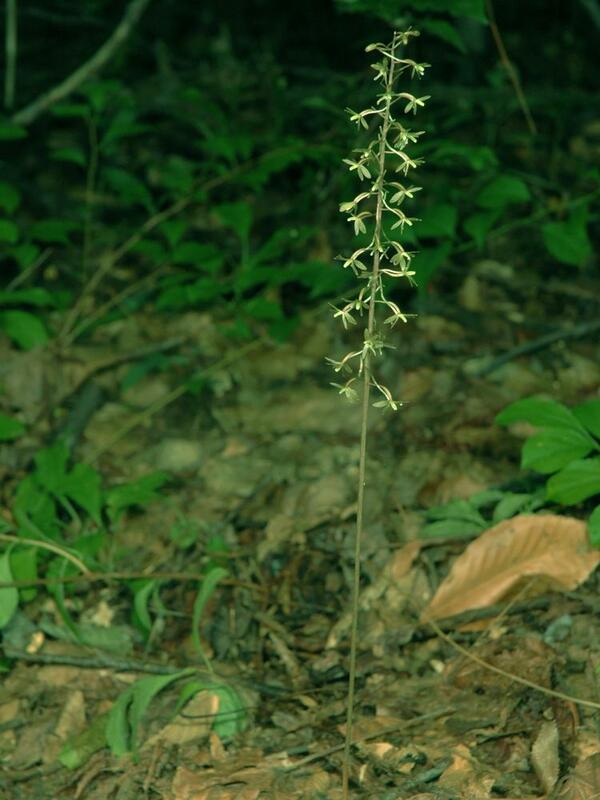 Tipularia discolor, commonly called Cranefly Orchid, is found throughout the eastern and central United States, from Florida to Massachusetts and west to Texas. 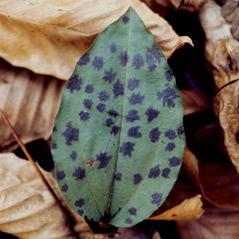 It produces a single leaf in the fall which stays green throughout the winter with purple pigmentation on the underside. 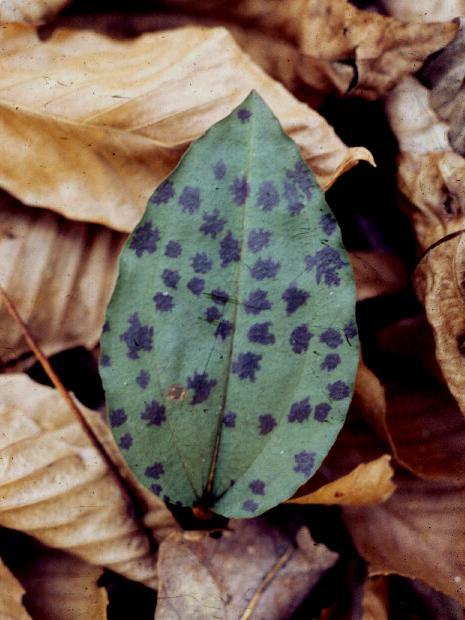 The leaf senesces in the spring before the plant flowers in the summer. 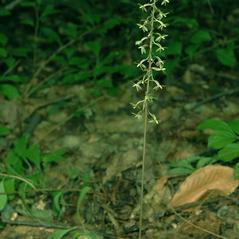 Tipularia has spots on its leaves and nectar spurs on flowers which distinguishes this orchid from Aplectrum hyemale, which also has a wintergreen leaf. 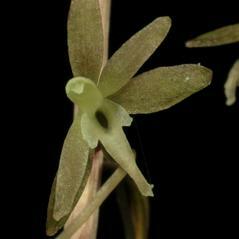 The somewhat asymmetrical flowers of this species are pollinated by noctuid moths. 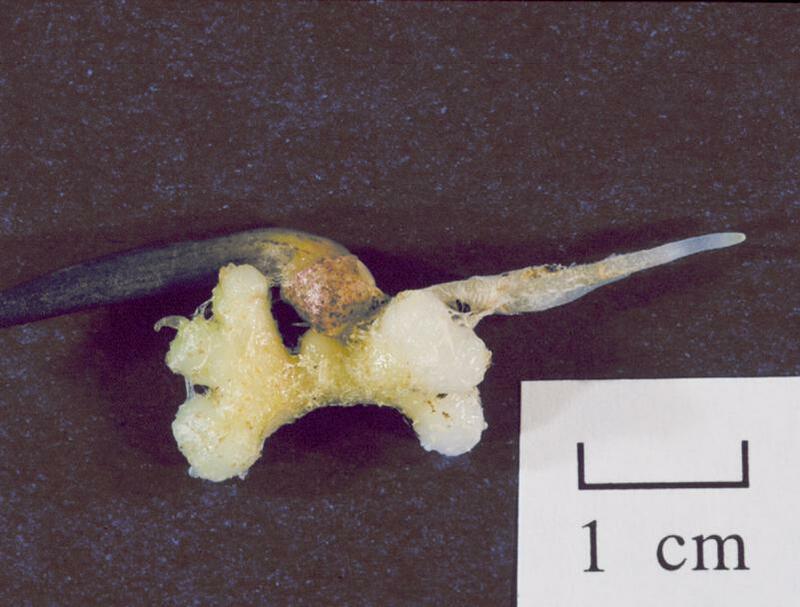 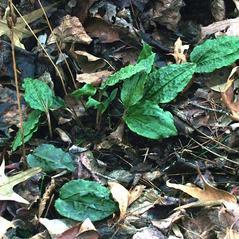 The protocorms are usually found on decomposing wood, suggesting that germination is stimulated by the substrates found in logs, tree stumps, and wood chips. 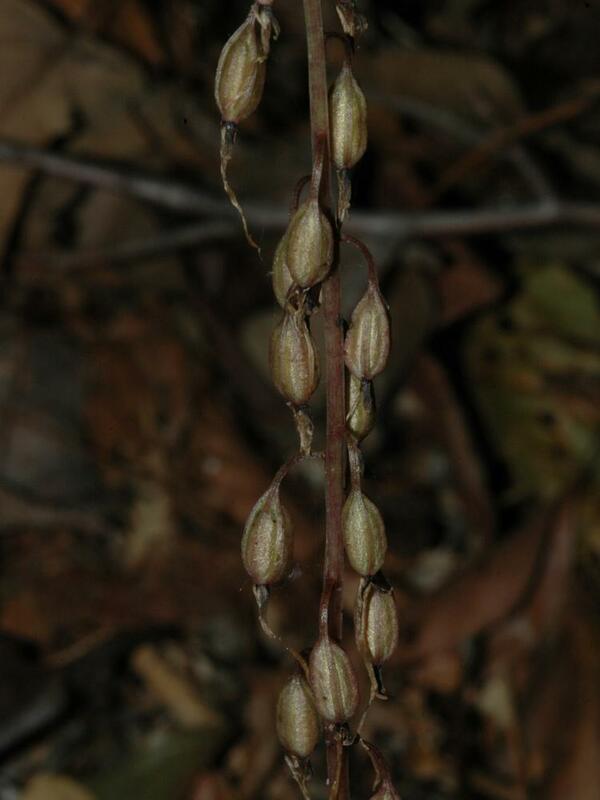 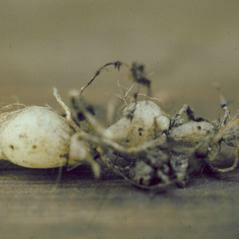 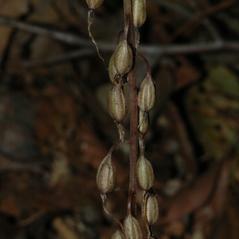 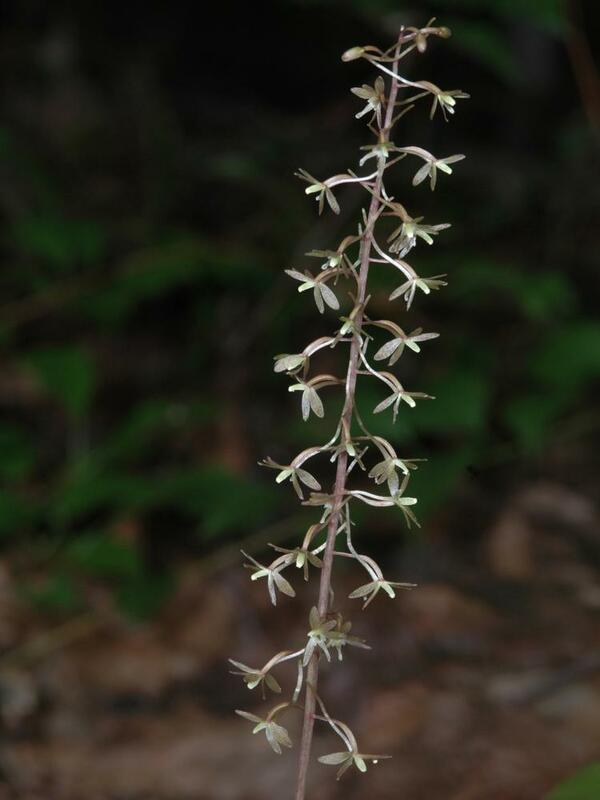 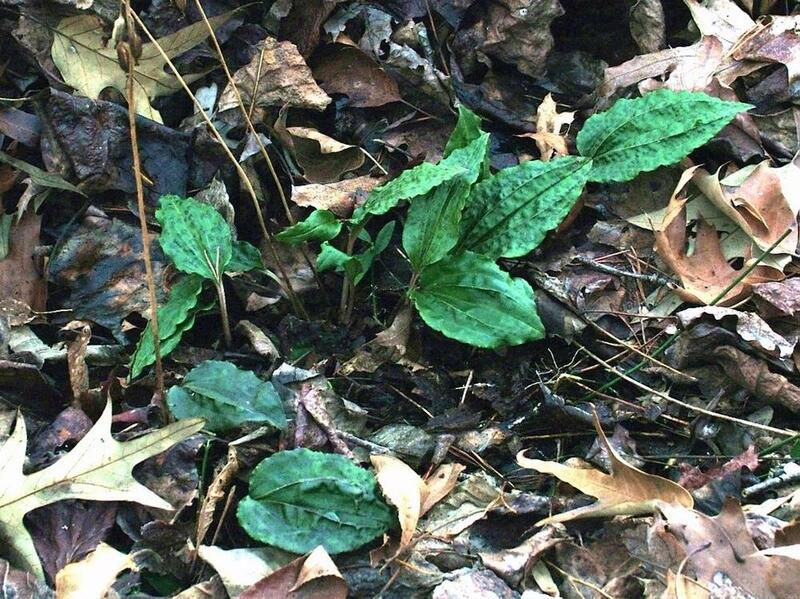 Globally, Tipularia discolor is apparently secure and is common in forests throughout the southeastern U.S. 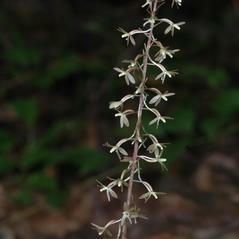 However, it is considered rare or endangered in several northern states. 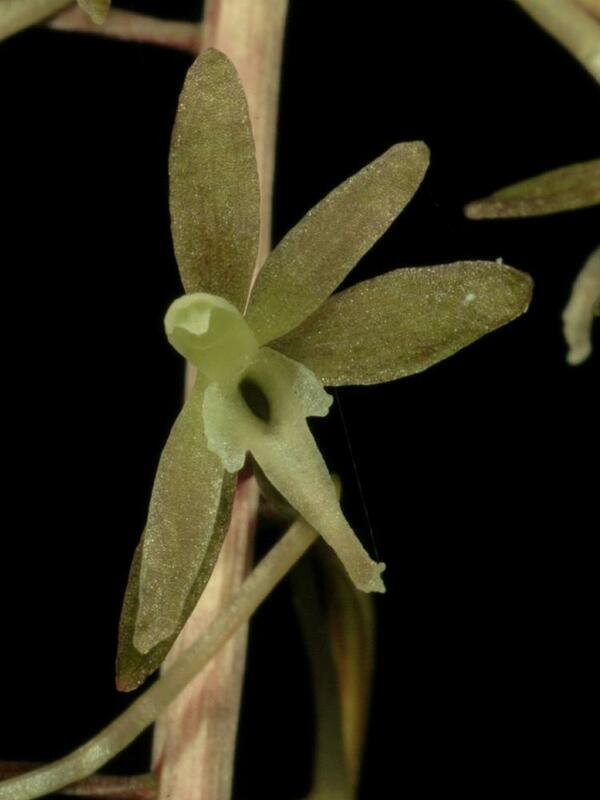 This orchid is pollinated by Autographa precationis, Ctenoplusia oxygramma, Cucullia convexipennis, Protoboarmia porcelaria and Pseudaletia unipuncta. 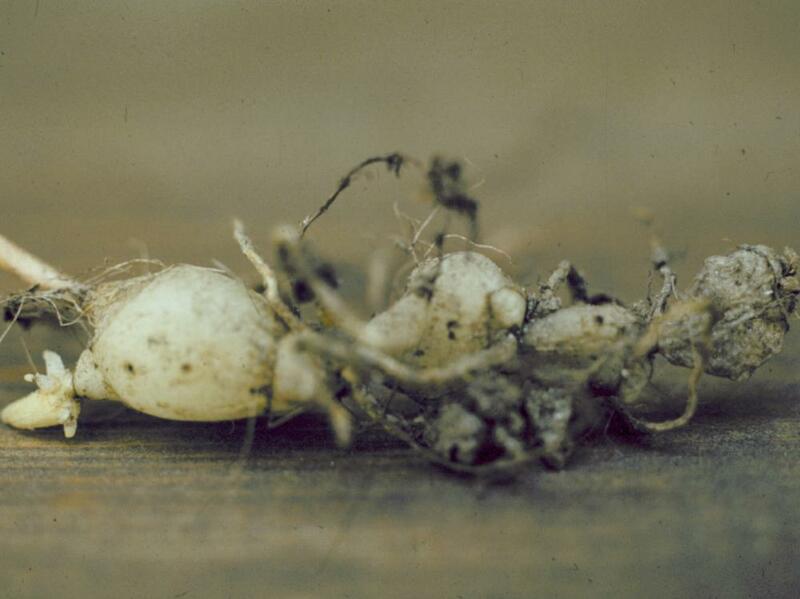 The moths visit the flowers and insert their proboscis into the nectar tube, if there is little nectar left the moth will force its proboscis in deeper and increasing the chance of their compound eye coming into contact with the viscidium and removing pollinaria. 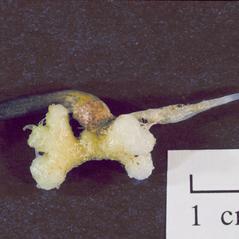 The stigma is not exposed until the anther cap falls off, which might serve as a barrier to self-pollination.